I am sorry that I wasn't very active lately, I was busy a little. Today I present to you: Lords a war! "LordsAWar! is a free, turn-based strategy game where up to 8 players strive for control of as many cities as possible. Produce new armies in cities to conquer nearby cities. Using the income from those cities, make more armies to take more cities. Send a hero to a temple to get a quest, or maybe search a nearby ruin instead. Play with others or against the computer. 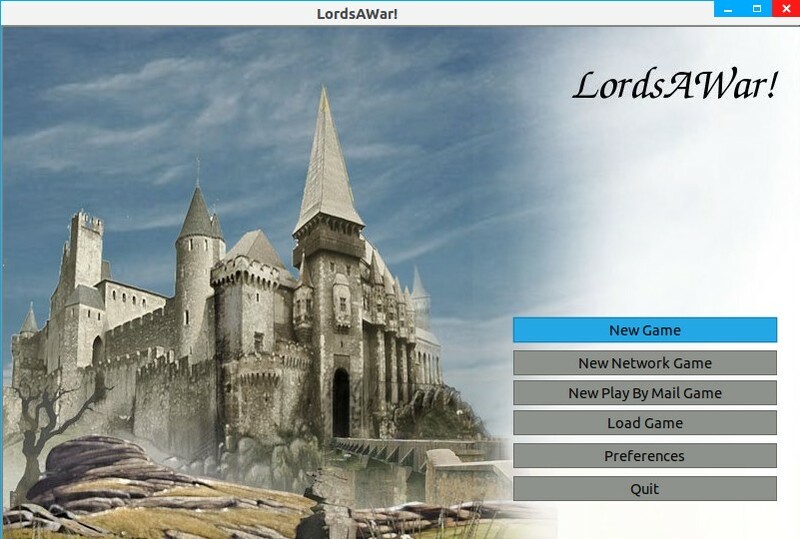 The goal of this project is to make a game that is similar to Warlords II and is playable on GNU+Linux, Windows, and Macintosh. This project has a longer history than most people realize!" The game is available for Linux only, and even on linux it's a bit tricky, I tried downloading the Tar.gz and compiling it, but I wasn't successful. There wasn't any site that provided a DEB link (Easy install on Linux) Until now! !